We know you deserve to be pampered a little extra during these months. Meet these comfortable and sophisticated comfortwear range, designed to be worn before and after your baby arrives. Features hidden panels for easy nursing, extended layer to cover your baby bump and easy to care for fabrics suitable throughout the pregnancy and nursing. Because a comfortable mommy is a happy mommy! 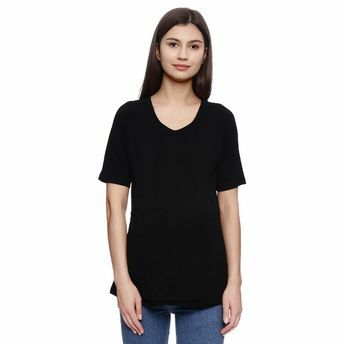 Alternatively, you can also find many more products from the Zivame Made For Moms Layered Front Maternity And Nursing Top - Black range.